Philips is a leading health technology company focused on improving people's health and enabling better outcomes across the health continuum – thereby creating value for its stakeholders. Leveraging our expertise and experience in both the clinical space and consumer technologies, we’re helping healthcare providers, payers, consumers and companies address the challenges they face – by applying our unique ability to develop and deliver solutions that span the health continuum. We’re convinced that in this connected world, it’s vital to take a holistic and seamless view of the end-to-end patient journey. 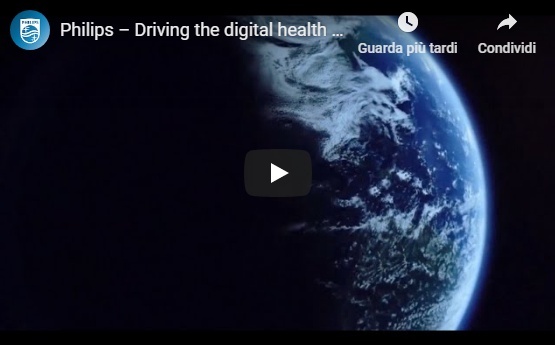 At Philips, we are ideally positioned to help consumers on their health journey and to connect them to their caregivers for the right intervention, at the right place, at the right time. supporting the patient’s recovery when they return home. As we address healthcare as a ‘connected whole’ in this way, we can unlock gains and efficiencies and drive innovations that help improve people’s health and enable better outcomes at lower cost. We are increasingly partnering with hospital customers in new business models, engaging in long-term strategic partnerships to innovate value-added integrated solutions. Philips headquartered in the Netherlands, generated 2018 sales of EUR 18.1 billion and employs approximately 77,000 employees with sales and services in more than 100 countries.